This “question” is often a mild source of frustration for me, which can, on occasion manifest into episodes of chronic rage and indiscriminate violence, but not entirely for the reasons you may imagine. It’s not the complete lack of understanding in regards to common ancestry and evolution that gets my sacrificial goat; it’s the Incomprehensible levels of arrogance that the question alone indicates. Now, this may come as a surprise to some, but I’m not actually a scientist. No, honestly. I would consider myself someone with an average level of academic ability. This is why I find it useful to defer the shortcomings of my own knowledge to experts who endeavour to seek the truth, via credible and robust methods of observation, study and testing. I believe this makes it possible to consider myself informed. This to me seems a reasonable method of learning what…is. I do think it’s important to have patience with people when such ignorance is a result of naivety or lack of education, but unfortunately, this question never takes the form of a sincere desire to learn the answer. It is void of all inquisitiveness. In fact, it’s not even intended as a question. It’s a smirking premature declaration of victory by the poser. They believe, in one act of intellectual superiority, they have destroyed Darwin and flipped scientific understanding on its head. That’s some feat. Bravo! It’s this extraordinarily high regard for ones own intellect that I find mind-blowing, especially given the subject matter of the question. In fact, you don’t even need to understand the theory of evolution (which they don’t) to deduce that you must be mistaken in your questions premise, or at the least, short of a few key pieces of key information. YOU, believer of ancient texts have stumbled across a mammoth oversight which will change the global understanding of complex life within the developed world. Your expertise on this topic negates the wealth of information contained within the fossil record, later validated by contemporary biological methods and decades of scientific investigation. The research you undertook during your study is astounding, detailed and thorough, using complex language, not written in any way by Crayon. Your investigation is soon to be detailed in the game changing, scientific, peer-reviewed journal titled “Darwin Shmarwin – There’s still monkeys!”. Your years of casually ignoring facts, and employing the tried and tested method of taking your information “on faith” is obviously a more worthy process of discerning questions of this nature. Your ideas are evidently far too complex for the mere scientist to fathom by themselves. With all those books in your house, where will you find room on your shelf for that Nobel Prize? I wonder. I wonder why that has never happened. It seems so obvious now you have mentioned it. What a glaring over-sight. How embarrassing. It’s as if the question isn’t valid or something. You’d still be ignorant, but not wilfully, and far less of a gigantic clot. Monkeys continue to exploit a niche that humans, until recently, could not. It is becoming clear that modern Humans also exploited their resources to the detriment of Neanderthals in the last 30,000 years. I’m not a scientist, but without getting money for it, as close as it gets! 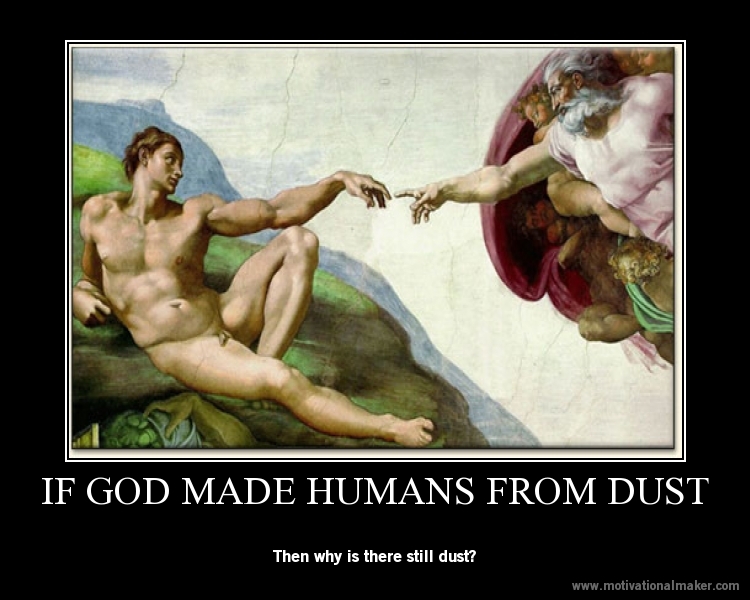 Oh, so where is the solid evidence that humans came from monkeys? There isn’t any. We DIDN’T come from monkeys. Thank you for proving the religious ignorance on this subject and validating my entire article, which you clearly did not read or understand. I highly respect the work done here. Please make sure to follow @GSpellchecker on Twitter. Why are there still monkeys? That’s easy. So they can spread the word of God. Duh. I think the easiest way of thinking about this is that we didn’t evolve from Apes, but alongside them. We share a common ancestor that we both evolved from. It’s also worth pointing out that Apes, and not Monkeys, are our closest relatives. We are Apes, our closest relatives being, a fellow Ape, the Chimp. Fantastic GSpellchecker. Thanks for taking the time to write this. I look forward to the next one. Excellent blog! And I’m stealing that pic for the next time I see that question! You and you cousin both came from your grandmother. You don’t have the same parents but you share a common ancestor. It doesn’t get any easier than that eh?